Konami will be releasing a ‘free’ download only game for the PlayStation Vita when the handheld launches in Japan later this month. The game is called AR Combat Digi Q and will be accessible through the PlayStation Store. 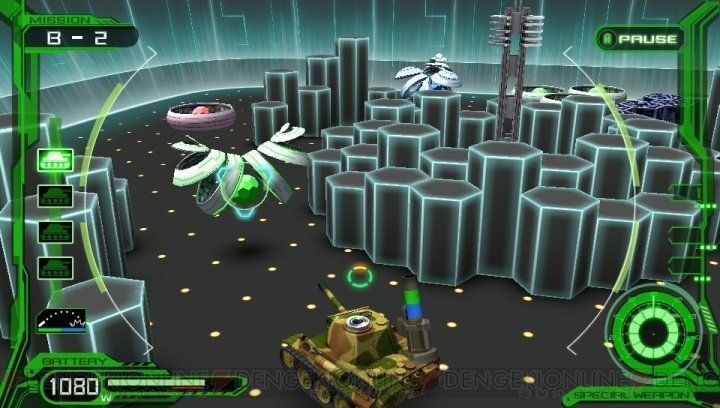 As the name implies, AR Combat Digi Q is an augmented reality game that will utilize the PS Vita’s cameras. But what makes this game so special amongst the launch line up that will surely be filled with other downloadable goodies? Konami has decided to release the game in small chunks similar to the way Android and iOS games are released. The first five levels of AR Combat Digi Q will be free. After that players will have to pony up multiple times if they wish to experience the full game. Stages 6 – 30 will cost 800 Yen (about $10 USD), stages 31 – 35 and 36 – 40 will cost 200 Yen (about $3 USD) for each pack. That means that total cost of ownership for AR Combat Digi Q is around $16. The game is currently set for release in Japan next month and has appeared in a list of launch titles for the UK and Europe. No word on if the game will be released in North America. Do you support this à la carte model, essentially having to pay for individual pieces of a game rather than a complete package? Let us know in the comments because between AR Digi Q and Namco Bandai’s Ridge Racer there is now a precedent for DLC heavy games on Sony’s upcoming handheld.